Today we had decided we were going to attempt our very own 4 park challenge. The format was to be a race between DH and DD & I. The rules were brief - All 4 parks as quick as possible using only Disney transport/foot to travel. In each park we had to ride an attraction, get a snack/speciality beverage and a photopass photo. We were set to leave at 9am and it was the first person back to the room that would win. We arrived at the contemporary bus stop and the first bus to arrive was for animal kingdom which DH got on and set off. About 5 minutes later a bus to Hollywood studios arrived, DD got on and it took about 15 minutes to get there. 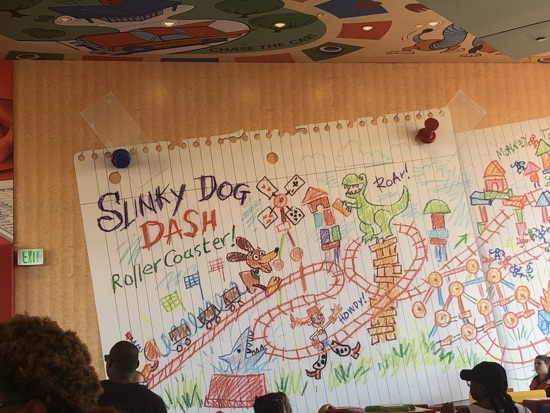 I'd booked us fast passes for the new slinky dog ride so we made our way there first. This ride was lots of fun, we both enjoyed it but not sure it's worth the lengthy queues! When we got off we got a photograph outside the Chinese theatre and picked up a strawberry bar ice lolly $4.50. We shared the ice lolly as it was melting so fast! We left Epcot and waited about 5-10minutes for a bus to animal kingdom. Here we had abit of an issue with DDs magic band, it would not recognise her fingerprint and the lady on the tap style put her hand up for assistance but no one came, we waited for 10 minutes, still no one came. 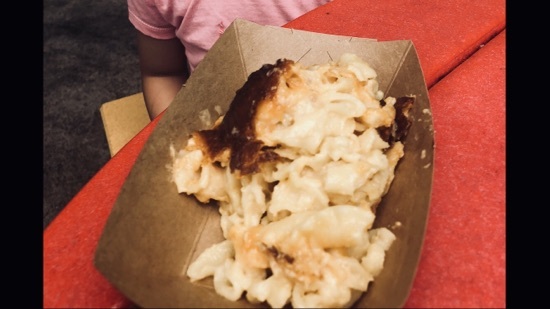 Dd kept intermittently trying her band and finger and one time it just worked, so off we went towards dinosaur, I love how this is just been shaken around in the dark  After our ride we went to eight spoon cafe for a baked mac and cheese $4.69 as we were feeling abit hungry. 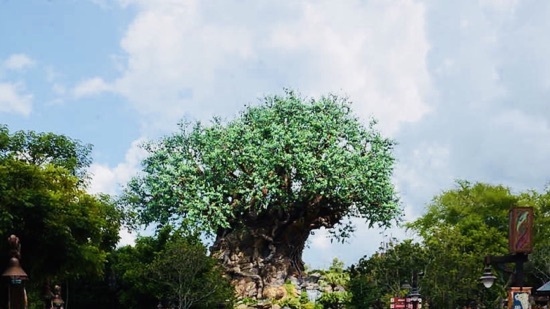 We shared this and made our way towards the entrance stopping for our photopass in front of the tree of life. We got to the bus stop outside the park and there was a magic kingdom bus waiting there! After this knowing we were almost finished we called into aunti gravities and got a candy corn milkshake, this was pretty expensive at $7.99 but they look so awesome. It tasted pretty awesome too! 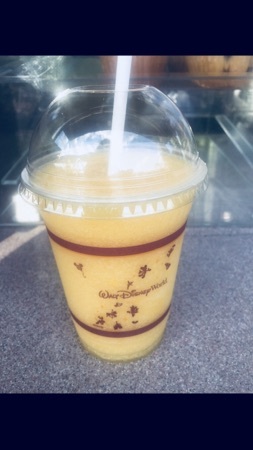 The orange milkshake/ice cream is candy corn flavour, it kinda reminds me of honeycomb/cinder toffee. 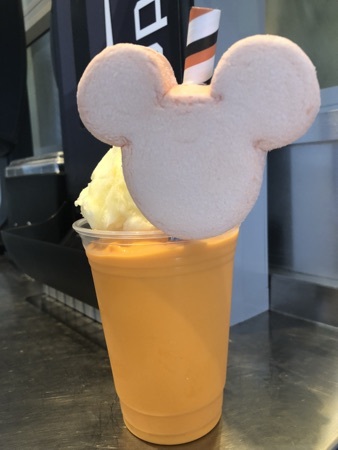 It's topped with candy floss and the straw has a marshmallow mickey head. 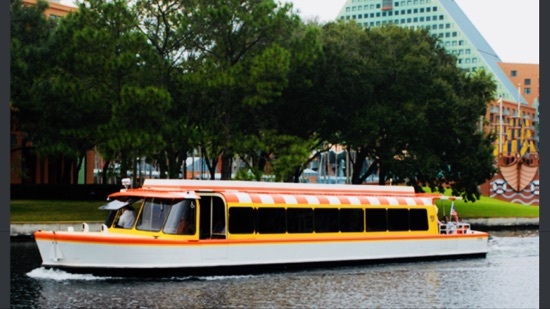 We shared this as we walked back to bay lake tower. The weather had started to deteriorate by this point and we just missed the start of a thunder storm. 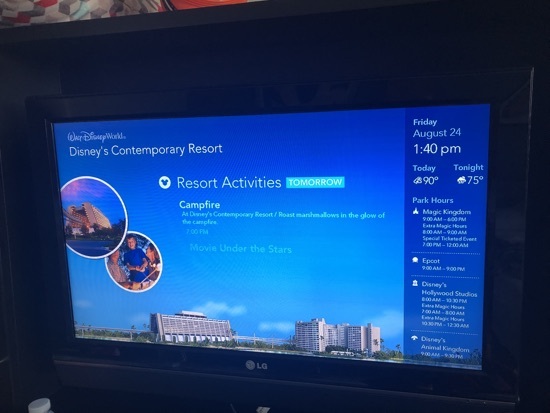 We opened our hotel room to discover we were first back, time was 1.40pm, we took a photo of the time on the tv screen to prove to DH . 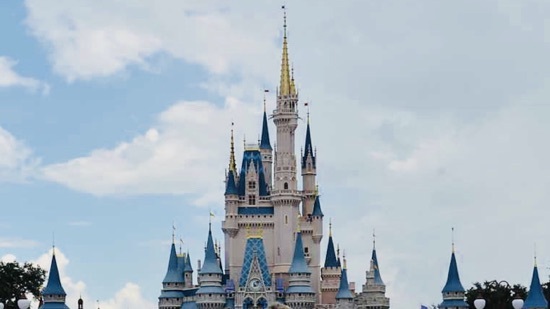 We've really enjoyed our 4 park challenge and it's made me realise relying on Disney transport isn't too bad when it works, we never had to wait long of any of the boats/buses and the journeys times are no longer than 20 minutes, and a major plus is the air con! DH made it back at 10 past 2 and we decided to drive to the Vineland outlets for abit of shopping. Parking here is awful! We drove round twice and ended up parking across the road at the promenade part of the outlets. One of the reasons we love coming here is for the food court Chinese. We love the food at maki of Japan. 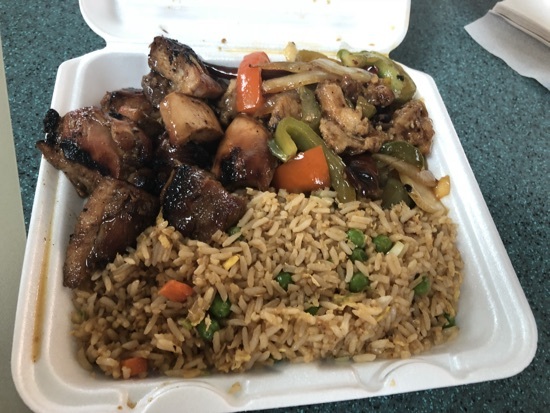 DH got the bourbon chicken, spicy chicken and fried rice, this was $10.29. I ordered the orange chicken, fried rice and vegetables for $9.29. We also got a large coke, $2.69. 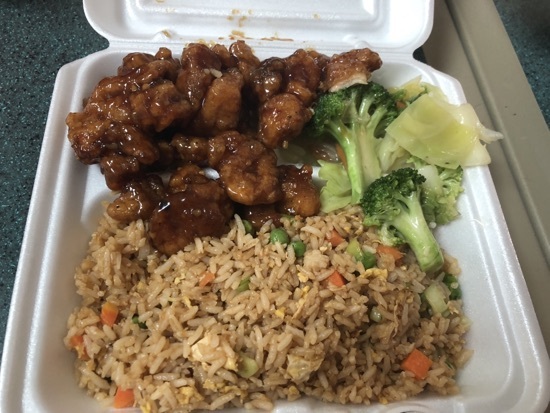 We just kinda shared it all amongst the 3 of us but in reality it was dd and I sharing the one I got as the spicy chicken was pretty spicy and the orange chicken was absolutely delicious as usual! Total came to $23.72, one of our best value meals so far! fter our food we continued with the shopping, in character warehouse we picked up a few things as gift and we spotted this Mickey Mouse. 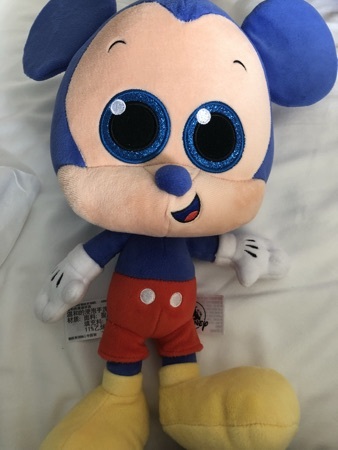 Dd bought the Minnie one herself at Easter and was saying she would like to see if there was still the Mickey available. We bought it discretely as a surprise for her. We returned to bay lake tower and went down to the contemporary pool for an hour or so, it was warm enough in the pool but once you got out it felt abit chilly. We spent most of the time in the small circle pool by the lake and were the only people in there until they closed the big pool and everyone that was in there descended upon it. As it had started to rain at this point we decided to call it a day and returned to our room. Dd and I had a tower wrapped round us as it was cold, when I got back to our room I walked past DH who grabbed me by he shoulders and told me to keep walking and literally marched me out onto the balcony and flicked off my towel. Turns out I had a hitchhiking cockroach on the towel in the middle of my back. 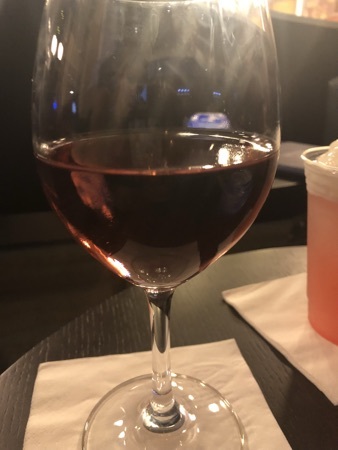 Blush white zinfandel wine which was nice. 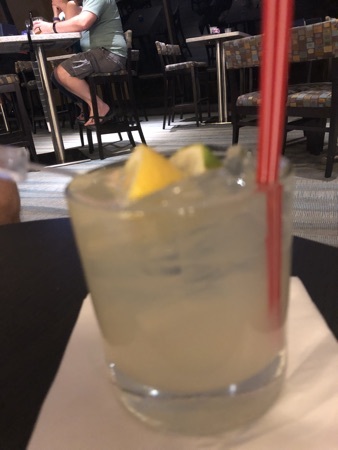 DH had a gin and tonic with a squeeze or fresh lemon and lime. Dd had the watermelon lemonade topped with lime foam. I finished this off for her and it was soooo good! 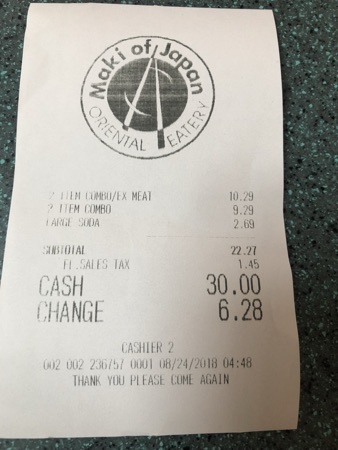 Total for the 3 came to $22 and after this I was feeling a bit hungry so we walked over to Contempo cafe and ordered a bbq chicken flatbread to take back to our room. 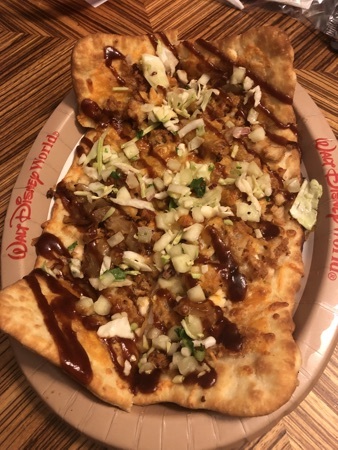 This was really good, could have done with a bit more chicken but it had a nice apple slaw on the top, this was $11.49 and was just the right amount for a snack between the 3 of us. New Photo Added by missdopey - 26 Aug 18 2:25 PM. We had so much fun. I think DH especially enjoyed the time on his own. 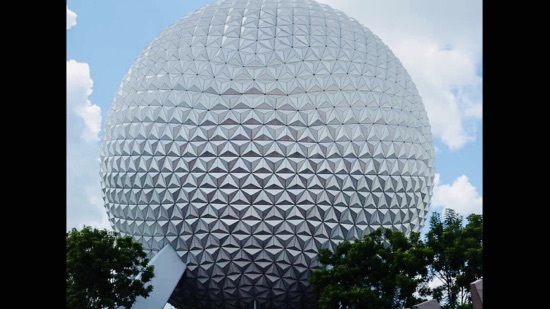 Something he hasn’t really done in WDW. Well done on your 4 parks challenge win! 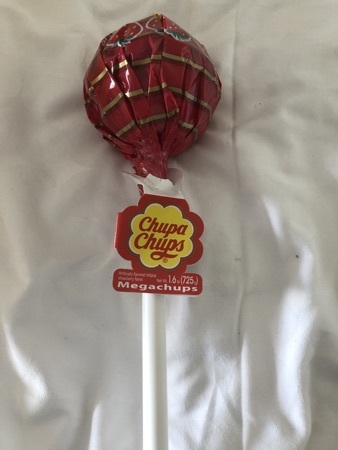 That Chupa chup lolly is huge! 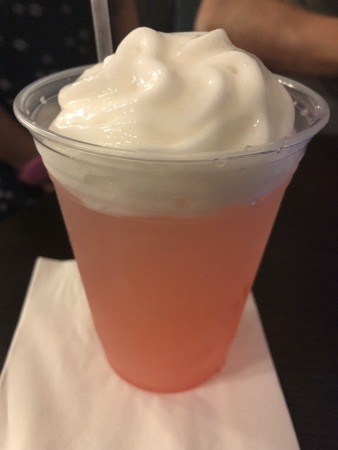 I'll be looking our for the watermelon lemonade topped with lime foam, it sounds very refreshing.